It was not my first time to attend an awards night but t'was my first time for the Guillermo Mendoza Scholarship Foundation's Box Office Entertainment Awards. This is perhaps the most objective award-giving body in the Philippines which base its winners in box-office receipts and sales. 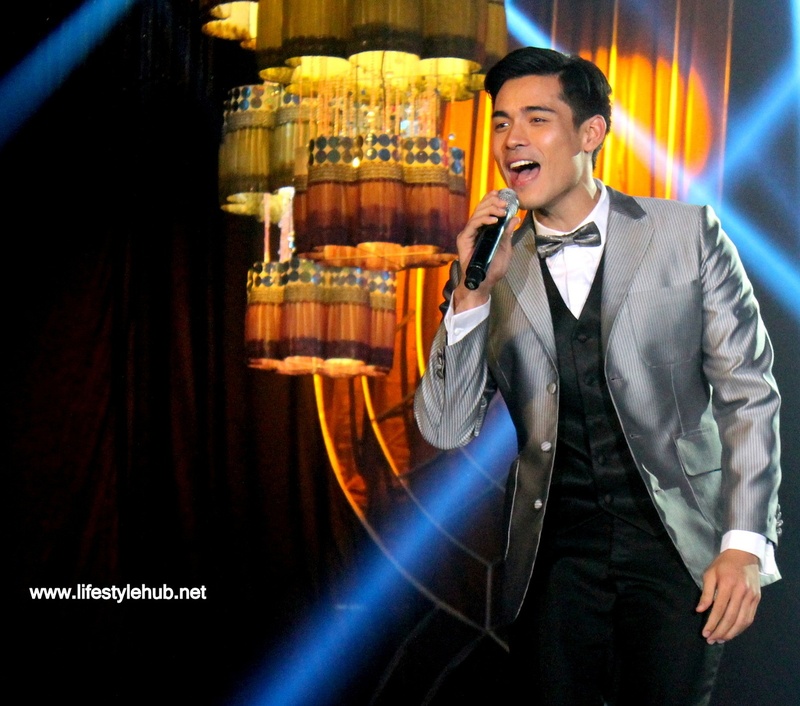 On a front row seat at the Solaire Grand Ballroom earlier tonight, May 18, here are some of the show's highlights. 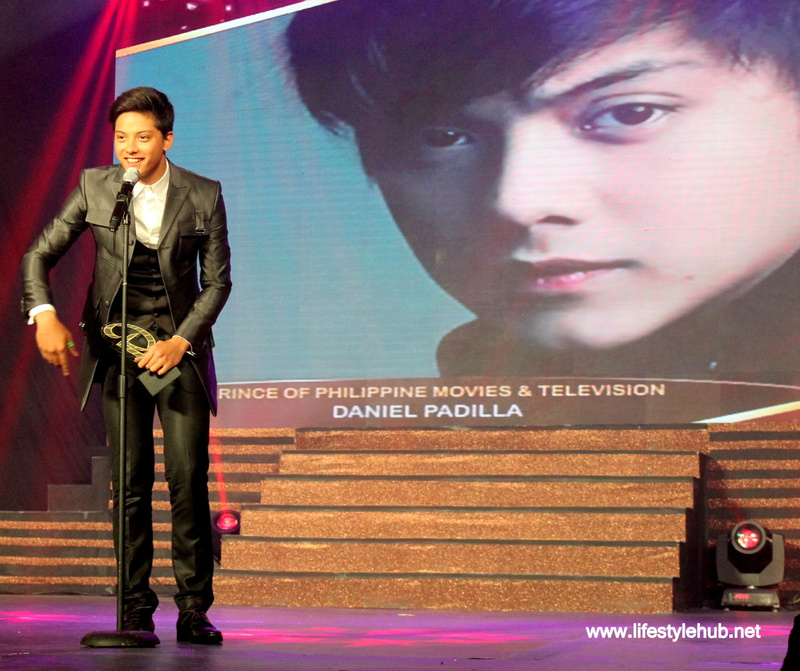 The live telecast of the awards ceremonies by the way is scheduled to be broadcast on ABS-CBN next Sunday, May 25. Sarah Geronimo is the winningest of the night winning 4 trophies: Box Office Queen (It Takes A Man and A Woman), Female Recording Artist of the Year, Female Concert Performer of the Year and Female Star of the Night. 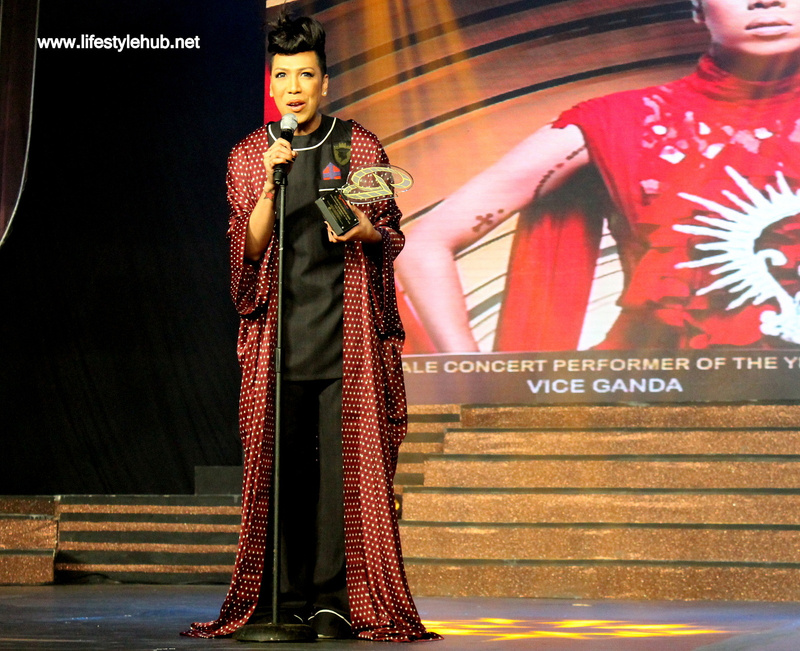 Vice Ganda took home two awards: Phenomenal Box Office Star (shared with Vic Sotto of "My Little Bossings" for the record-breaking sales of "Girl, Boy, Bakla, Tomboy") and Male Concert Performer of the Year. For being the first movie to ever hit the 400-million mark, Bimby Yap and Ryzza Mae Dizon are awarded as the Phenomenal Box Office Child Stars. 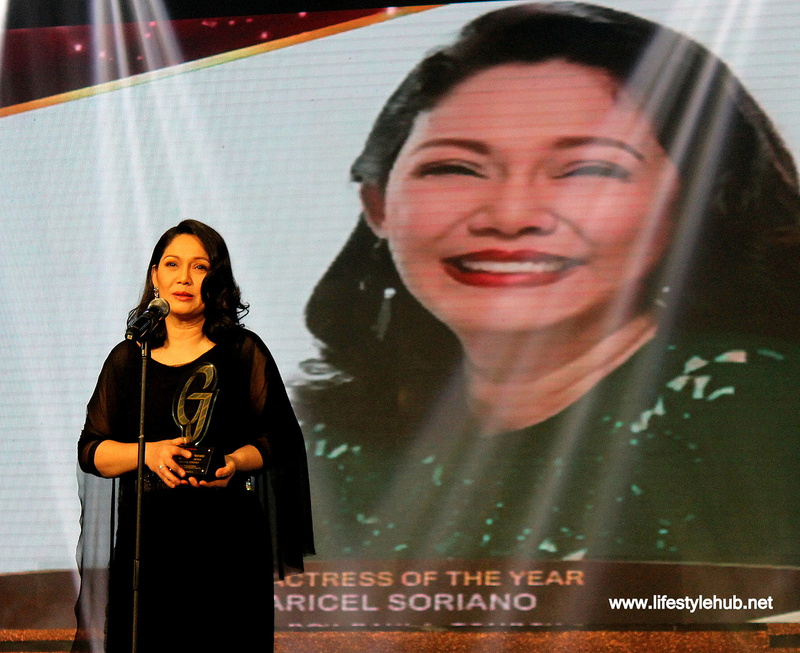 Being cited by award- giving bodies in a movie with high box-office sales, Maricel Soriano wins Film Actress of the Year for "Girl, Boy, Bakla, Tomboy". 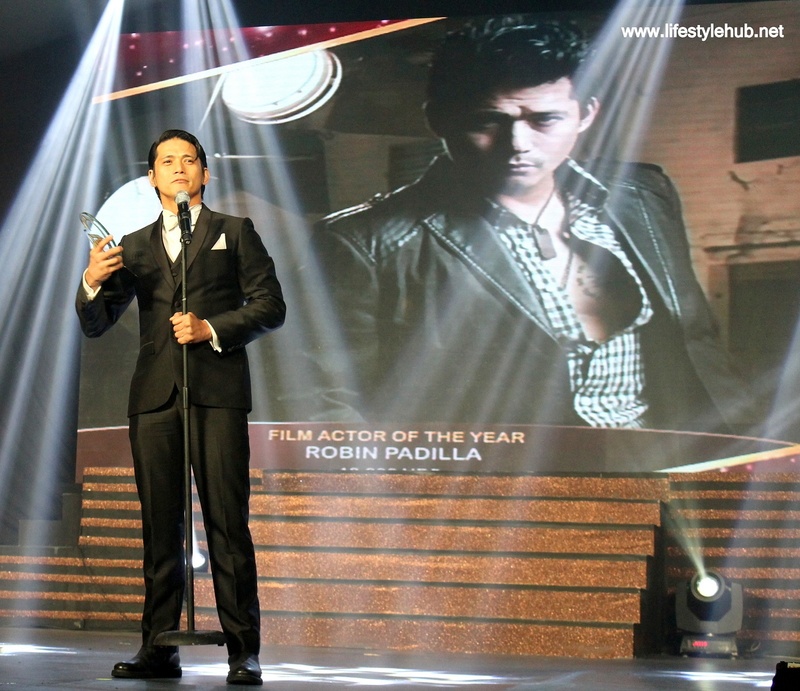 Winning acting awards and also hitting it big in the box office, Robin Padilla is the Film Actor of the Year for 10,000 Hours. 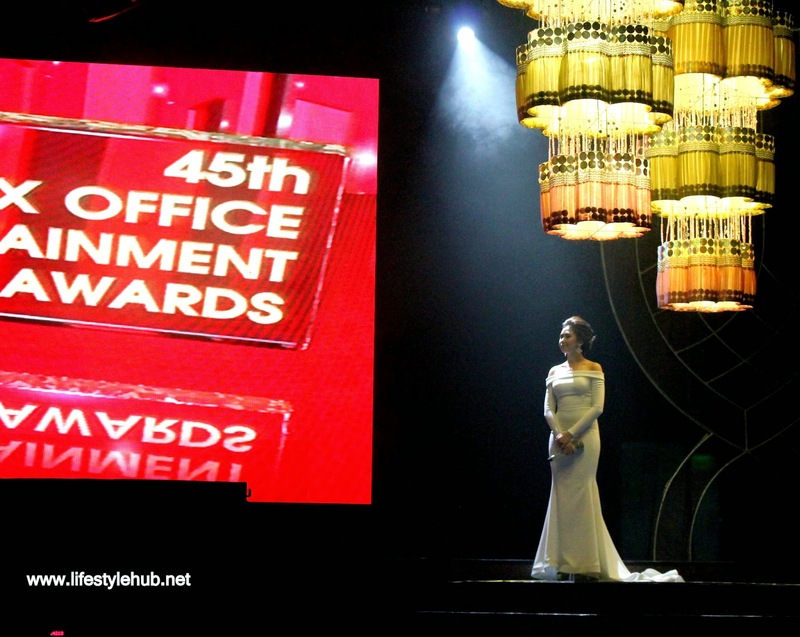 Pokwang accepts the Bert Marcelo Lifetime Achievement Award for comedy. 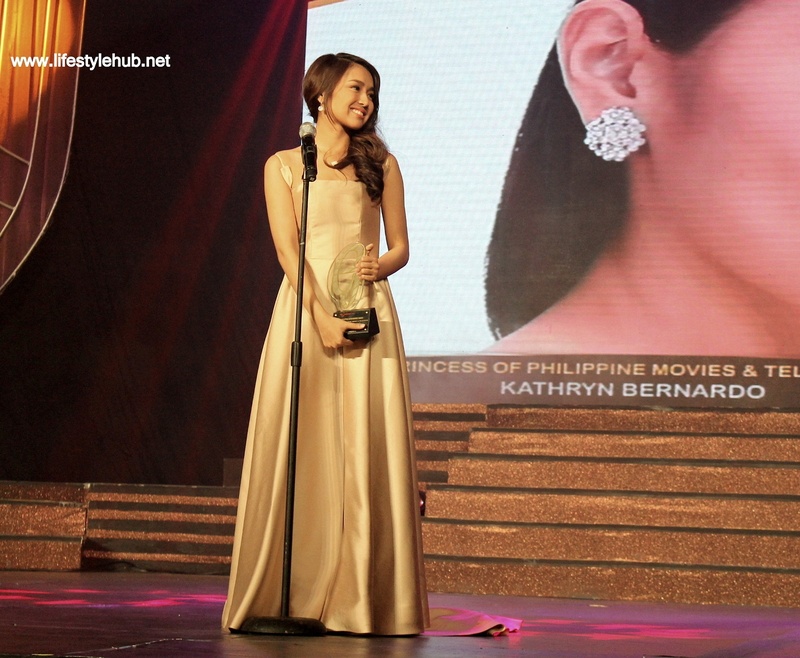 Kathryn Bernardo is Princess of Philippines Movies and Television for her successful team-up with Daniel Padilla in top-rating TV show "Got to Believe" and widely-watched movie "Pagpag". Janella Salvador, Jodi Sta. Maria and Mutya Orquia receive the award for "Be Careful with My Heart" as the Top-rating Daytime Drama. Bea Binene scores one for the Kapuso as she won Most Promising Female Singer/ Performer.